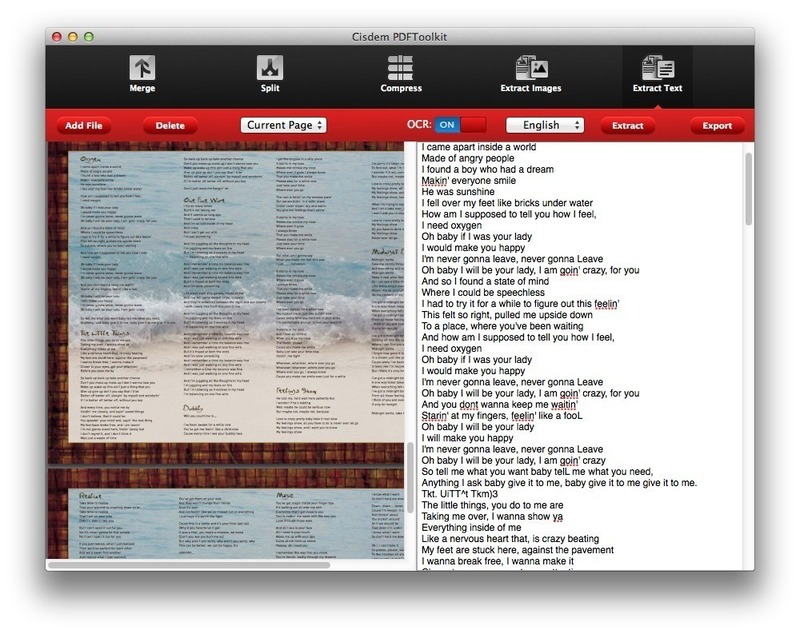 Merge, split, compress, and extract text and images from PDFs. Is there a better alternative to Cisdem PDFToolkit? Is Cisdem PDFToolkit really the best app in File Management category? Will Cisdem PDFToolkit work good on macOS 10.13.4? Cisdem PDF Toolkit provides a set of utilities to simplify working with PDF files. It can easily merge PDF files into one single document without limitation on file size; split PDF files into personal PDF's to customers, associates, and employees; compress PDF files to speed up large file transfer and reduce storage space; and extract images and texts from scanned PDF files. Note: Cisdem PDFToolkit is no longer under development, and it is no longer available for sale. Extract images and texts from scanned PDF files - Combine large PDF's and arrange them in any order. Just drag-and-drop any files into the app window, and it will merge different pages of invoices, bank statements, contracts, or e-books. 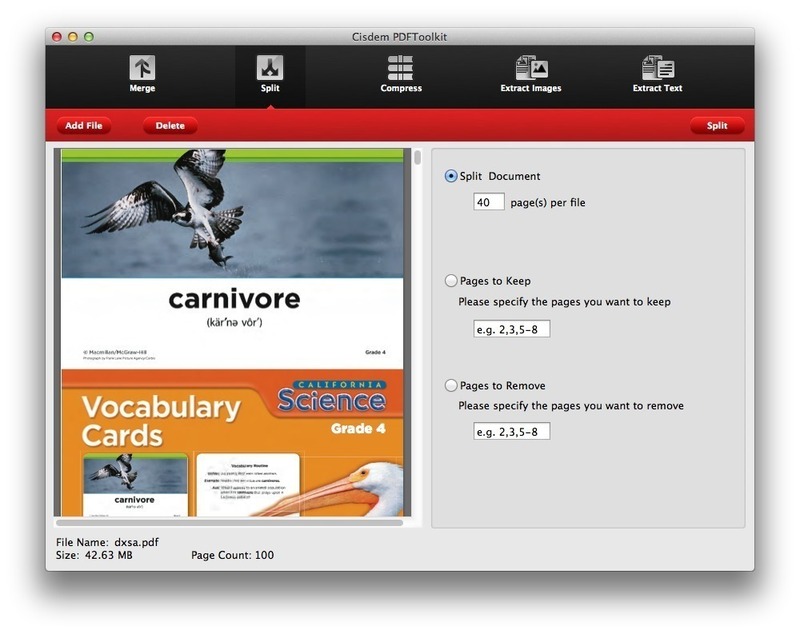 Split PDF files to single PDF - Just drag-and-drop a large PDF to separate. It can easily split PDF's to multiple parts to keep or remove. Then you can name the split output files in sequential order for easy identification. 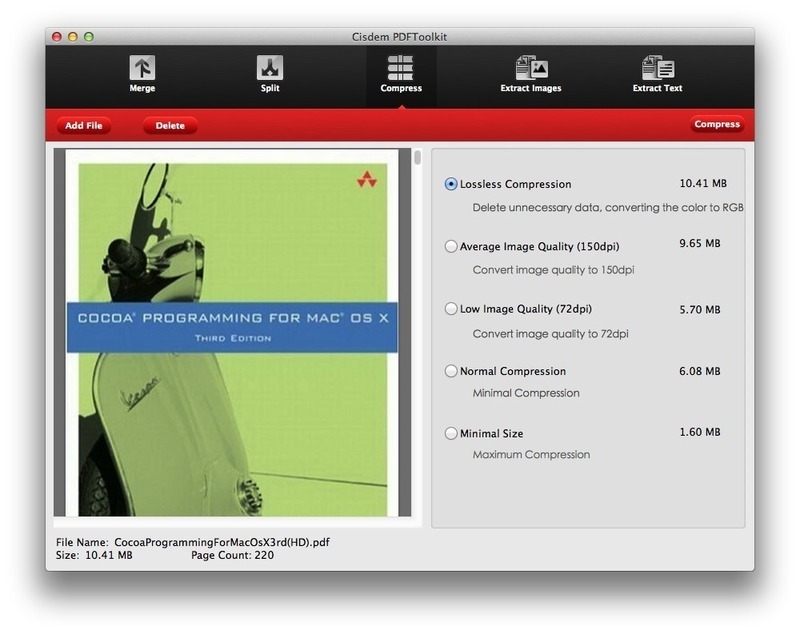 Compress PDF files to speed up large file transfer and reduce storage space - Compress PDF Files in 5 Modes: lossless, average image quality, low image quality, normal compression, and minimal compression. PDF's can be compressed 40%-60%, but maintain the original PDF format. 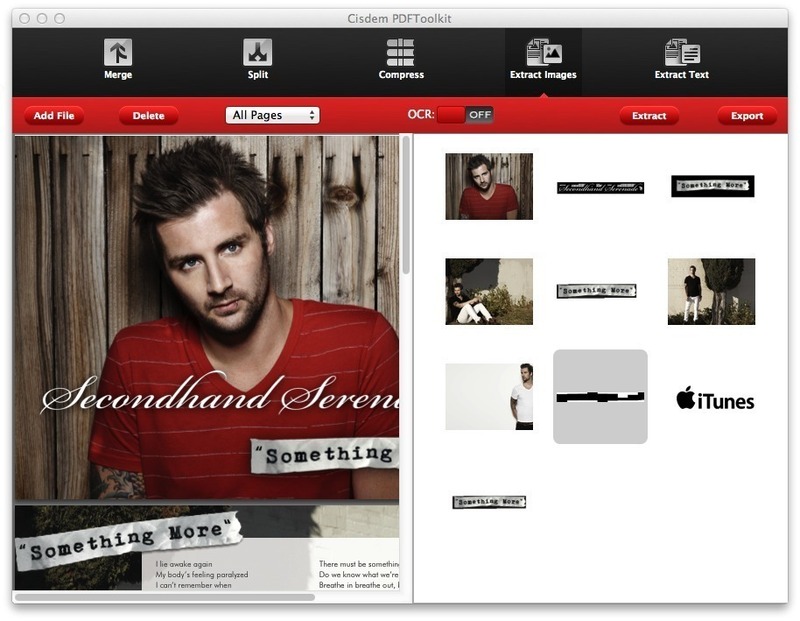 Images and texts can be easily taken out from scanned PDF files - You can extract images and text from scanned PDF files. Just turn on the "OCR" button, which allows you to extract all images and text from PDF documents with unlimited support for over 49 languages.